ARLINGTON, VA – May 2, 2012 — PBS honors the service of men and women in uniform with broadcasts of new and encore programs during May and on Memorial Day, Monday, May 28, 2012. 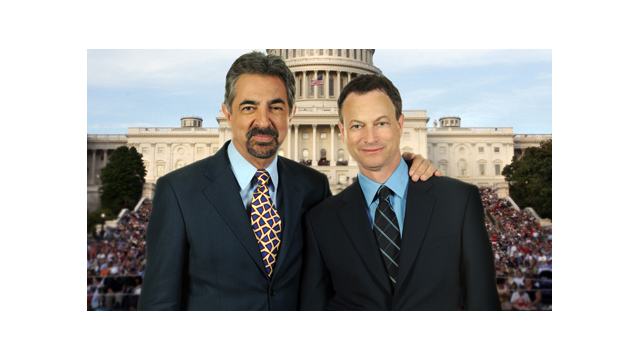 Now an annual tradition in its 23rd year, the NATIONAL MEMORIAL DAY CONCERT, hosted by Gary Sinise and Joe Mantegna with a star-studded lineup of performers, will air live from the West Lawn of the U.S. Capitol on Sunday, May 27. On Monday, May 28, INDEPENDENT LENS presents“Hell and Back Again,” the Academy Award-nominated documentary featuring the overlapping stories of a Marine at war and of the same Marine in recovery at home. Encore broadcasts include the acclaimed Ken Burns series THE WAR, as well as NOVA specials about discoveries related to the 1941 sinking of the USS Arizona at Pearl Harbor and the efforts of family members to find information about loved ones who were shot down in MIG Alley over Korea in the 1950s. Full episodes of NOVA “Killer Subs in Pearl Harbor” and “Missing in MiG Alley”, along with selected clips from the NATIONAL MEMORIAL DAY CONCERT (2012), will be featured on PBS.org the day after broadcast. A full schedule and episode descriptions are below. Join co-hosts Gary Sinise (“CSI: New York”) and Joe Mantegna (“Criminal Minds”) in a night of remembrance featuring an all-star line-up of dignitaries, actors and musical artists in performance with the National Symphony Orchestra. The 23rd annual broadcast of the NATIONAL MEMORIAL DAY CONCERT airs live from the West Lawn of the U.S. Capitol before a concert audience of hundreds of thousands, millions more at home, and is broadcast to troops around the world on the American Forces Network. What does it mean to come home from war — injured physically and psychologically — and build a life anew? As more and more veterans return from deployment, these questions must be answered not only by those who fought, but by their families, their friends and their fellow citizens. Filmed and directed by Danfung Dennis, “Hell and Back Again” transitions from stunning war reportage to an intimate, visceral portrait of one man’s personal struggle back home in North Carolina. There, Sergeant Nathan Harris, with the love and support of his wife, Ashley, confronts the physical and emotional difficulties of re-adjusting to civilian life. Contrasting the intensity of the frontline with the unsettling normalcy of home, “Hell and Back Again” was nominated for an Academy Award for Best Documentary. NOVA joins an exclusive dive beneath the waters of Pearl Harbor to trace new clues to the dramatic 1941 sinking of the USS Arizona in which 1,177 crewmembers perished — the greatest loss of life in United States naval history. In 1950, Russian and American fighters clashed over Korea in the fastest dogfights ever seen. The epicenter of the air campaign was MiG Alley, a strip of airspace between the Korean-Chinese border. Flying higher and faster than ever before, American and British pilots had little idea of the hidden dangers that awaited them if they were shot down. In “Missing in MiG Alley,” NOVA follows the poignant and sometimes harrowing efforts of family members to trace what happened to pilots who went missing more than a half-century ago. Vietnam War veterans who have children who served in Iraq tell their stories. The program showcases the pride and fear a family shares when one is deployed. THE WAR May 2012 (check local listings)THE WAR, a seven-part documentary series directed and produced by Ken Burns and Lynn Novick, explores the history and horror of the Second World War from an American perspective by following the fortunes of so-called ordinary men and women who become caught up in one of the greatest cataclysms in human history. CONTACT: Cara White, CaraMar Publicity, 843-881-1480, cara.white@mac.com.